How many Civil War battles were there? The simple answer is, there were a lot of them. I estimate there were at least 9,620 battles during the Civil War. That’s not an exact number and the vast majority of these battles were skirmishes between small groups. These were not all Gettysburg size encounters. When the Civil War began in 1861 the fighting was continuous the entire time up until the end of the war in 1865. Almost every single day during the Civil War there was a battle or small skirmish somewhere in the country. The Civil War was the most violent time in American history which led to the deaths of 750,000 Americans. No other war the United States has fought has seen as many casualties as the American Civil War. The only other war that comes close was World War Two where roughly 420,000 Americans were killed. If you want to get a better idea of the sheer scale of the fighting that took place during the Civil War a great resource is the Battles of the Civil War Map from National Geographic. This map shows the battles fought during the war with outstanding detail and quality. It’s good for seeing the overall picture of all of the fighting that occurred during the war. 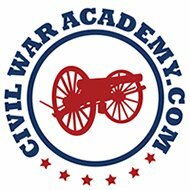 Below are detailed descriptions of the most famous Civil War battles during the war. These are the battles you often hear and read about. The results of these battles determined which side was going to win and which side was going to lose the war. Also listed are the Civil War battles fought in each individual state. Below is a list of the more famous battles. Also a Civil War timeline with every state in which there was a battle in the order in which they occurred, from Alabama to West Virginia. Pick a state and see information about the battles that took place there.